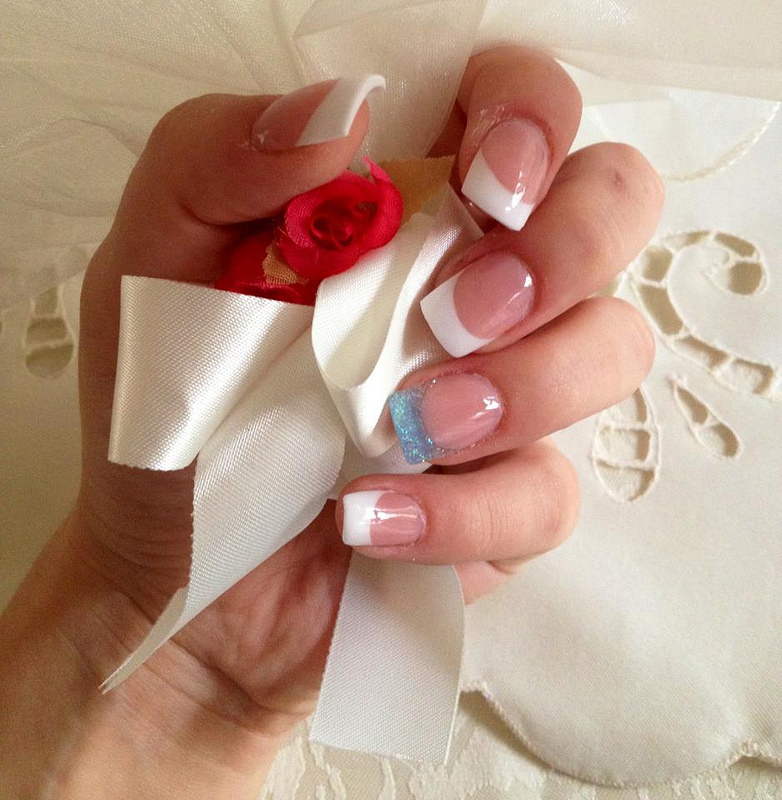 When you are ready with these arrangements then you can go ahead with the French manicure process. Remember, it will take some time, so you must select the time when you will be relaxed and don’t have to think about any other work. Try trimming your nails just the bit that is required to give a shape to it because you have to remember that the first rule of the French manicure is long nails. Now take some warm water and put your hands into it for a while. It will relax your hand and soften it too. With the help of a cuticle pusher push back the cuticles of your nails gently as your hands are soft now therefore you can easily remove the dirt and dead skin easily. Make sure your nails are completely clean. Use some cleanser and apply it on your nails to cleanse your nails, then is the turn of sanitizer which you have to apply on your nail but remember you need to apply a thin layer only. If you do not want to do not have these items then you can simply take some oil and massage the cuticles. Now is the time to apply the first coat and it will be the base coat so put on a thin layer of pale pink nail polish. Let it dry and then you have to apply another fresh coat of polish. Now the last part is done to make sure that your hard work last longer. Paint your nails with a clear coat to finish off your French manicure. You can also take the help of a French manicure kit that comes on the market as it already contains all essential requirements.